Meet Cindy – YOU Miss Teen! YOU Miss Teen Cindy Makita beat a life-threatening disease and is determined to live life to the fullest. 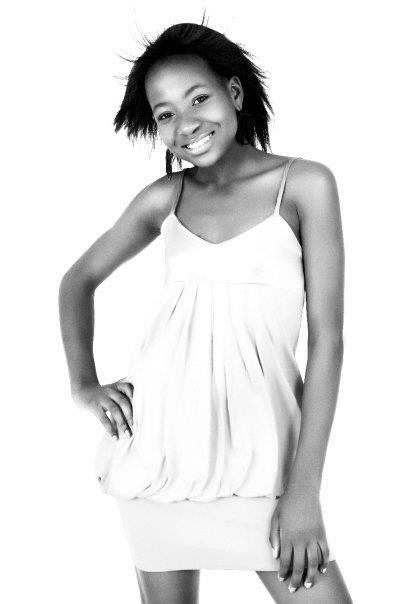 The bubbly teen will be blogging for us twice a month between her charity work and preparing for her Matric exams. This is my first blog post and I would like to start off by telling you a little more about myself, about Cindy Makita without the YOU Miss Teen title. Take a trip through my life (well, my 18 years of living), and how I came to be the YOU Miss Teen. So to the beginning: At the age of one I was diagnosed with an illness called sickle-cell anemia. It is a serious blood disorder that is inherited from your parents, and many people do not survive it (sickle-shaped cells can clog blood vessels and the body’s tissues and organs do not get enough oxygen). My illness placed a lot of strain on my family: financially, physically and emotionally. 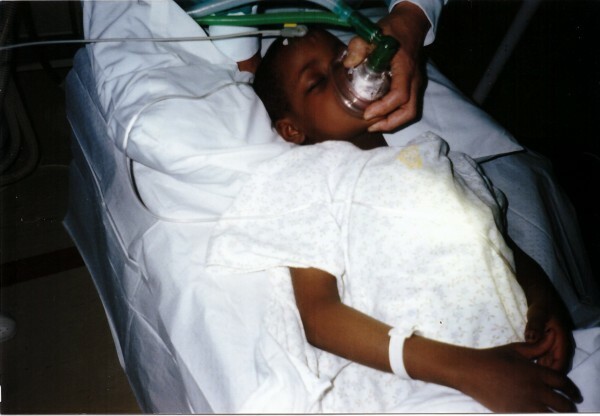 At the age of five I was sent from my home in Johannesburg to Cape Town for a bone marrow transplant which could potentially either cure or kill me. My sister, Charlene (then aged 13, now 25), was my donor. You rarely hear of cases where people find someone with the same blood type as theirs in their own family, which eliminates the process of searching for external donors. I was a rare case. I had the transplant and spent six months in hospital and today I am sickle-cell free. 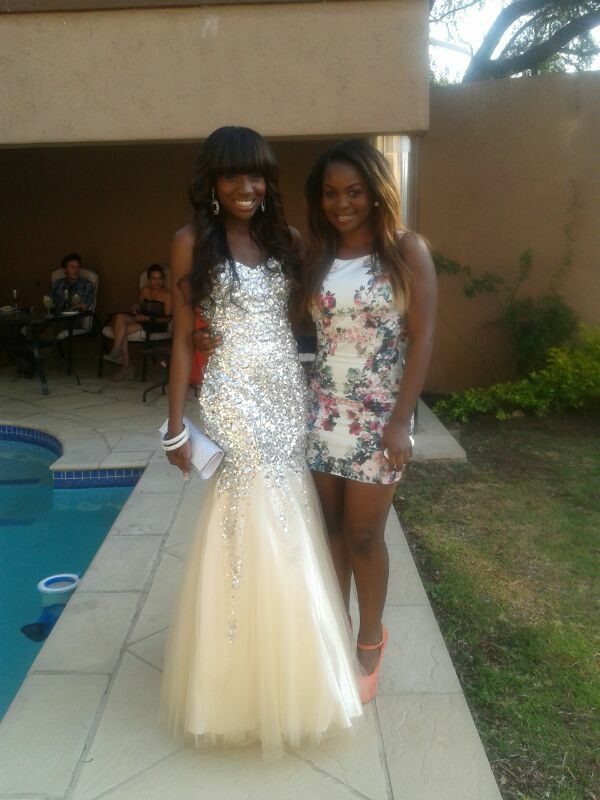 My sister Charlene and I on the day of my Matric dance. I really love and appreciate her, and people (even myself sometimes) often underestimate how painful it was for her to donate bone marrow. She saved my life and I am so grateful to God that He put her in my life. Having conquered death with my family and God on my side, I vowed to use every talent and ability I have to inspire others, to live my life to the fullest with no regrets and especially to glorify God’s name. Facing such a big hurdle so early in life made me the strong person I am today. Whatever challenges come my way I am ready to face them head on. That’s me about to be put under anesthetic before they operated on me for the transplant. I had lost all my hair because I chemotherapy. After the transplant, getting back to school was tough. Since I had missed more than six months of school (with the transplant itself and also staying home to recover), I was not used to the daily routine of a normal school day like most kids. My parents thought I was going to be held back a year because I had missed so much schoolwork, however my teachers saw potential in me and thankfully did not make me repeat the year. 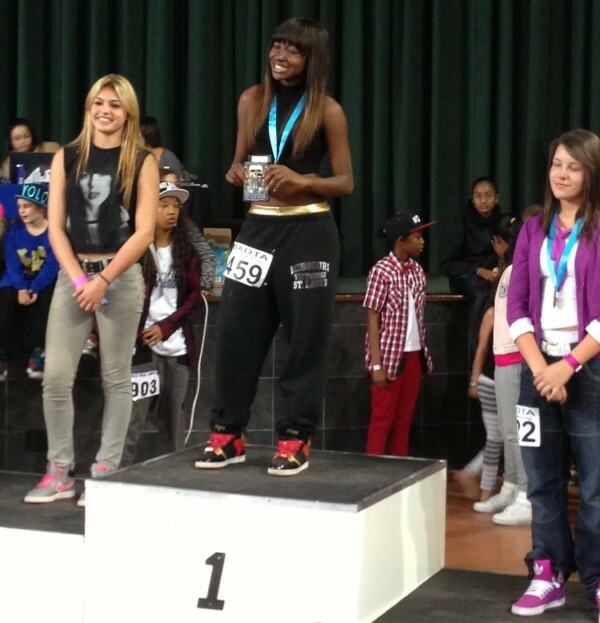 That’s me at a Hip-hop Day at Walter Sisulu Hall in Randburg in 2013. I won Amateur Dancer of the Year. Over the years I started to slowly discover my talents. I started dancing at the age of six, doing modern and tap dancing. Since then I have explored and excelled in nine styles of dance ranging from contemporary to hip-hop. I also started singing at a young age. My mom realised that I was a performer so she put me in vocal training school. My mom taught me that it was important to grow all the talents that I had. 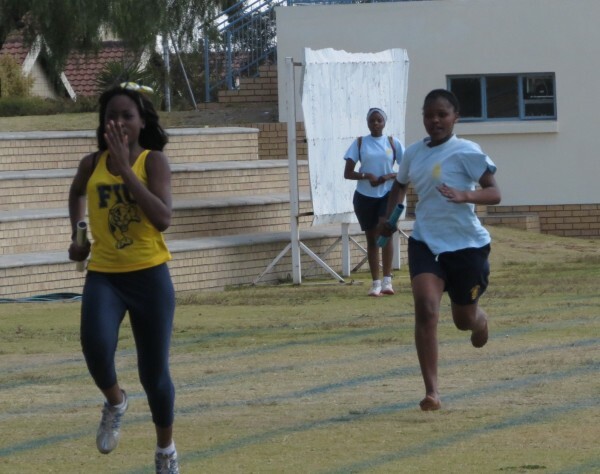 On the athletics track at my school’s inter-house athletics day this year. 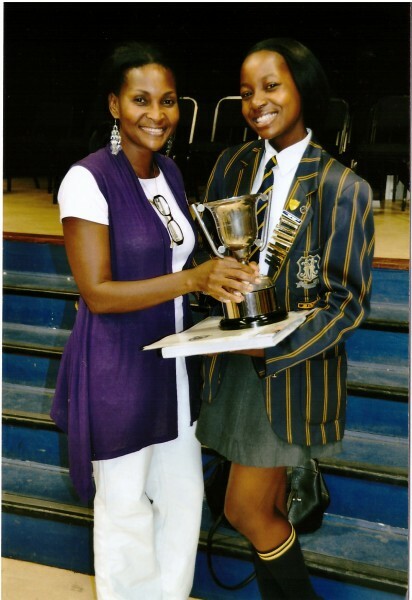 In high school (I am in matric at Marian College), not only am I among the top students of my grade in academics, but I also excel in all my extra-mural activities, such as netball, athletics, public speaking and eisteddfod. I strive to be an all rounder. My mom, Dina, and I at my school’s Honours’ Evening in 2011. I won Dux Scholar (First in the grade for academics). I started modelling at the age of 15 – a very vulnerable age where I would have my feelings shattered every time I didn’t get a callback or I “wasn’t what they were looking for”. I soon came to terms with the reality that the modelling industry was in fact as tough as people said. I had to equip myself with a tough skin and determination so I knew just because I didn’t get booked for a certain job, it didn’t mean I was not good enough. And coupled with some ambition and trust in myself and in God I was able to join a reputable modelling agency and work with some of the top brands both locally and internationally. At my first photoshoot in 2010 at the start of my modeling career. From battling with illness to discovering and pursuing my talents. From experiencing many blows to my self-esteem to being the confident girl I am today. I learnt to turn failures into life lessons that would form the stairway to my success. It felt as though each and every minor detail of my life finally came together and built up to that one momentous day, the day I was crowned YOU Miss Teen. More about winning the title and how my life has changed in my next blog.